This product is a hair growth stimulant. Suitable for men or women. It contains 5% minoxidil just like Rogaine. If you aren't a fan of the eyedropper in Rogaine's Liquid formula, or don't like the Foam solution, you may prefer this product. 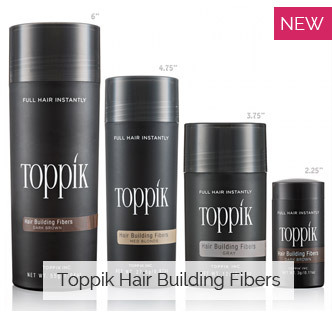 Includes: One 60ml / 2oz spray bottle of 5% Minoxidil solution. This product is a Growth Stimulant. Complementary treatments would include Antiandrogens like Propecia, Topical Spironolactone, RevivogenMD, and DHT Blocker. One complementary growth stimulant which uses a completely different method of action is Tricomin Therapy Spray and comes highly recommended from our users. RegenePure puts out a lot of high quality products. They saw a need for an alternative Minoxidil solution with an applicator that provides greater coverage with less product wasted. As far as ingredients go, this is the same active minoxidil solution you'll get in both the liquid and the foam products from Rogaine. Minoxidil 5%. This product qualifies as the latest evolution in treating your hair loss with a Minoxidil based product. RegenePure Precision Minoxidil Spray is changing the way men apply their hair loss treatments. The applicator included creates a fine mist which ensures full scalp coverage, giving you the results you need without the mess. 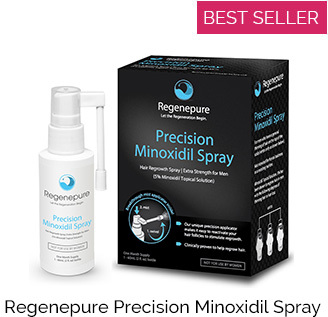 RegenePure Precision Minoxidil Spray's main ingredient is the FDA approved clinically proven "Minoxidil" in a 5% formula. 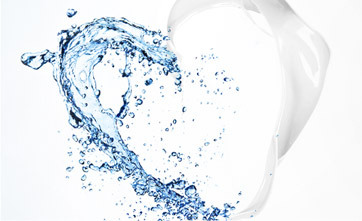 In clinical studies, it slowed the progression of hair loss and encouraged new hair growth. The swivel applicator ensures ease of use, and the formula was made to quickly dry on the targeted area for maximum results.